The fine art photography of Bonnie Colgan captures the ever-changing beauty of the natural wonders around us that will touch your heart with an intimacy that is both personal and emotional. 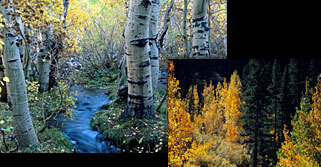 Her image portfolio includes highlights of the majestic Eastern Sierra Mountains of California with emphasis on the Mammoth Lakes and Yosemite National Park areas. A variety of other subjects include jazz events, desert and western seasonal landscapes, domestic and African wildlife, big boat yacht racing, Mammoth Mountain, golf courses and flowers. Also featured in the stock list images are waterfalls, lakes, streams, geological formations and full moon shots. All Images in the thumbnail galleries are available as fine art framed photographs in custom sizes for interior residential or commercial wall décor. Select Blank note photo greeting cards for that special occasion. A stunning natural image, signed by the artist, will makes a thoughtful gift for any occasion and is sure to please the art connoisseur or nature lover in your life. Call her to set your appointment for a personalized custom blank note photo greeting card with the added text of your choice. Think holidays!